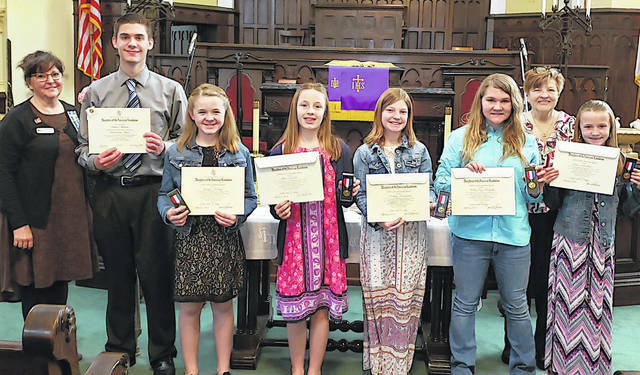 Pictured, from left, are Chair Elissa Zornes; Nathan Buchannan, Good Citizenship Essay winner, Fairfield High School; Youth Citizenship winners Josylin Rockey, Lynchburg-Clay Elementary; Chloe Roberts, Hillsboro Elementary; Maddy Wiseman, Fairfield Elemenatry; Hollie Rhoads, Rainsboro Elementary; Charleene Tarr, youth chair; and Toree Wareikis, Buckskin Elementary. 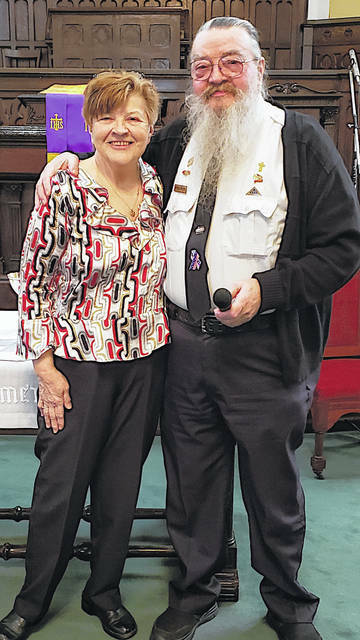 Gerold Wilkin, right, receives an award from Charlene Tarr of the Waw-wil-a-way Chapter of the Daughters of the American Revolution. 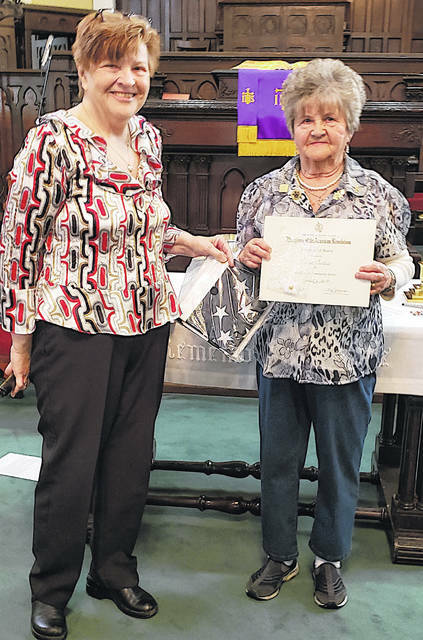 Luise Curtis, right, receives an award from Charlene Tarr of the Waw-wil-a-way Chapter of the Daughters of the American Revolution. The Waw-wil-a-way chapter of the Daughters of the American Revolution held its annual awards ceremony on Saturday, April 6. Award recipients, their families, and DAR members enjoyed a luncheon by hostesses Rosemary Ryan, Kathleen Fuller and Charleene Tarr. Good Citizenship, Youth Citizenship and Community Service awards were presented. The chapter would also like to congratulate Emma Lerch who was presented as a DAR Debutante and Cara Pfieifer for graduation of the New Horizons Leadership Course at the OSDAR State Conference on March 29-30 at the Dublin Marriott.